I love it! Mariapia was so so warm! I lost my ket the first day and she came inmidiatly to assist me! So nice from her. The apt is in front of the train station. So there was a change in the location, but I did not mind. Te place is peaceful and safe. Only doing the night you know... Napoli! but the rest is perfect! The hoster is super friendly! I felt like home! Thanks! Our hostess was very helpful and accommodating. The location was a little further than we expected from the train station (with lugging suitcases and all) but not too bad. Wifi worked great and breakfast was ready by 8:00 so that we could get out and start exploring the sites. It was a great stay. It said there was AC but that turned out to just be a fan in my case so that was a little disappointing because I booked because of the AC and it was going to be hot. That was the only downside everything else was manageable. 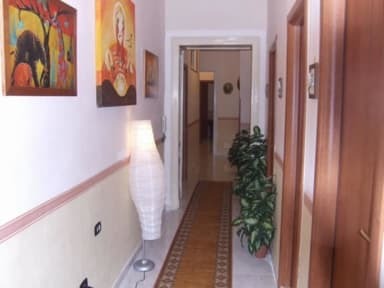 We did have to walk to a new site and not the exact place because they own 3 places and book using just one, it was not a long walk and it was fine Maria was a delight and the man who helped at the other site was great as well. 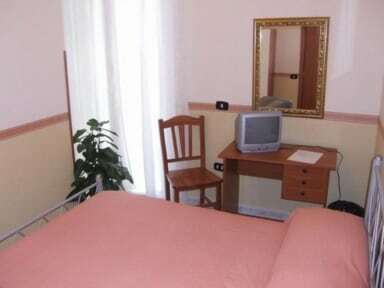 Not the most beautiful location, but Maria Pia very jolly, friendly, and helpful, and room secure and clean. Quite noisy till about 2.00 am. Very convenient for ferry terminal, and about 15 min walk from station. Neighbourhood not beautiful, but everybody I met was friendly and helpful. Could definitely recommend for budget travellers. When I arrived, the cleaning girl took me to another hotel that was a few blocks from the Astra, closer to the train station, not so nice neighborhood. The hotel was fine, confy room and typical Italian breakfast. Disgraceful customer service. Arrival time selected was 11pm. Arrived at 10pm & no one answered the door. Called them several times & no answer. Emailed several times also no answer. Really bad area, wouldn't stay here. After waiting a long time outside the door we were forced to find a overpriced hotel at midnight. Rude and wouldn't give my money back!